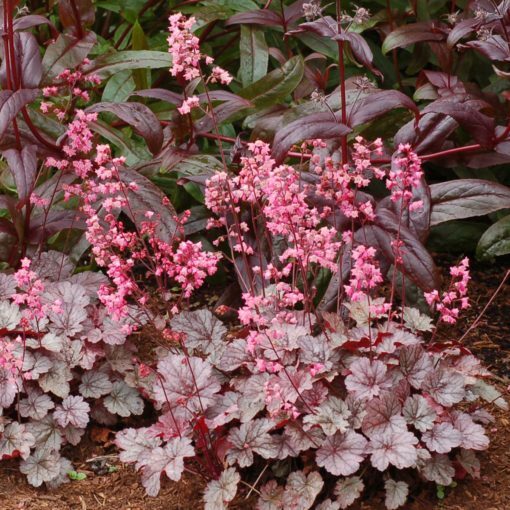 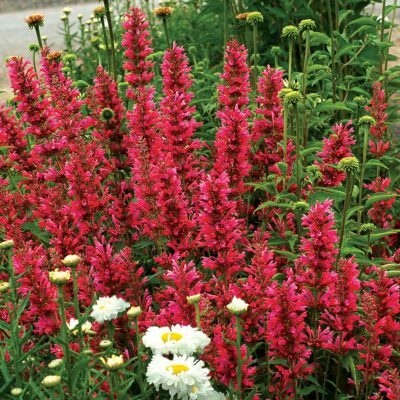 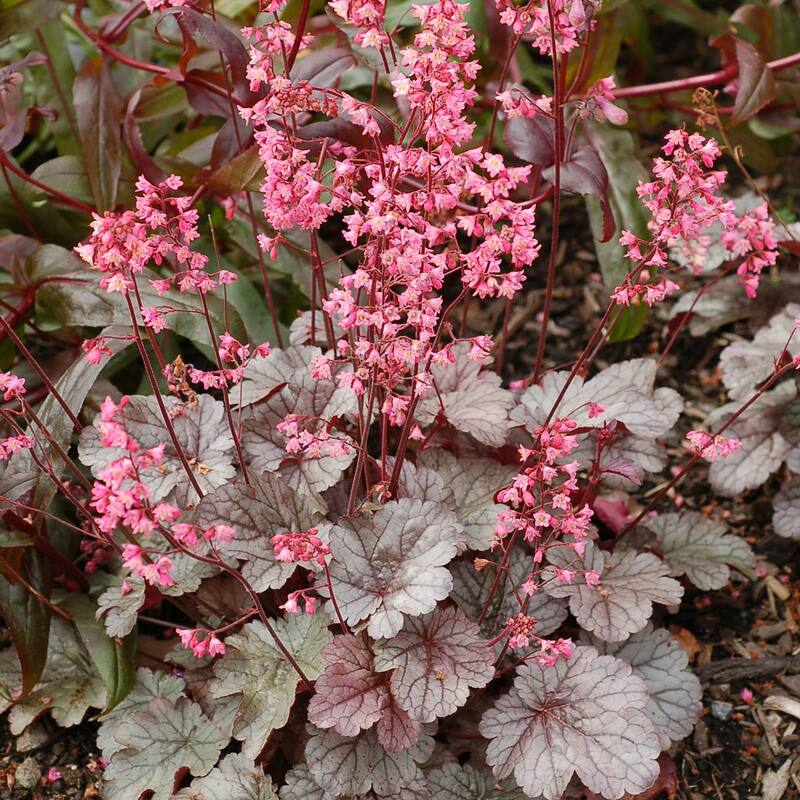 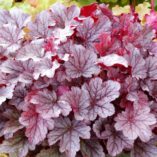 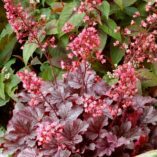 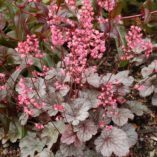 Heuchera ‘Milan’ | TERRA NOVA® Nurseries, Inc.
Milan is all about fashion and so is this charmer with constant bloom of lovely warm pink flowers on short stems over tight mounds of small silver leaves (with a maroon blush when cool). 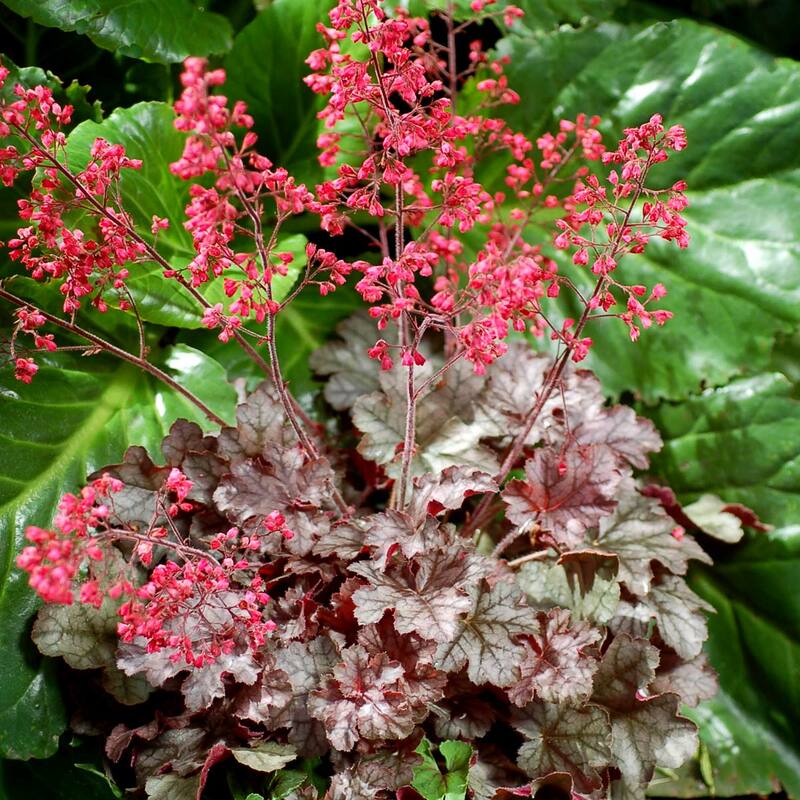 Very flashy! 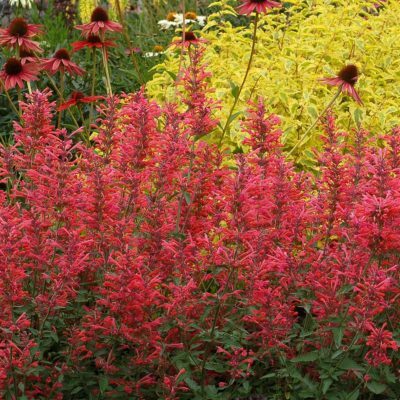 A great show in the front of the border or en masse. 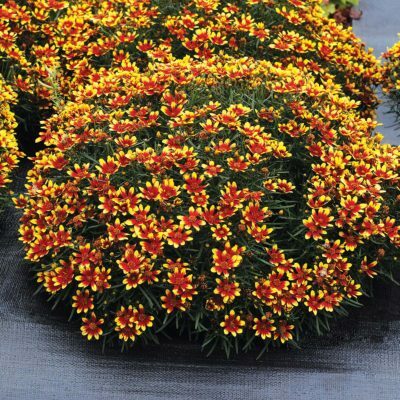 9" / 18" / 14"
It is more free flowering than 'Hollywood', 'Cherries Jubilee' or 'Vesuvius'. 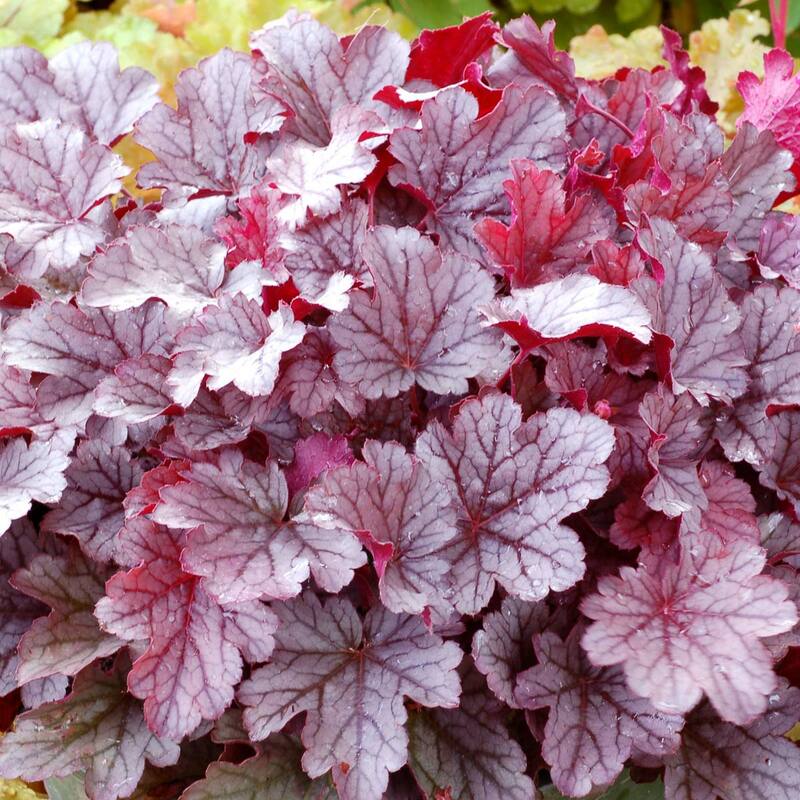 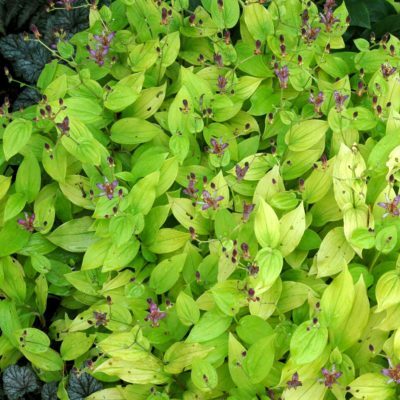 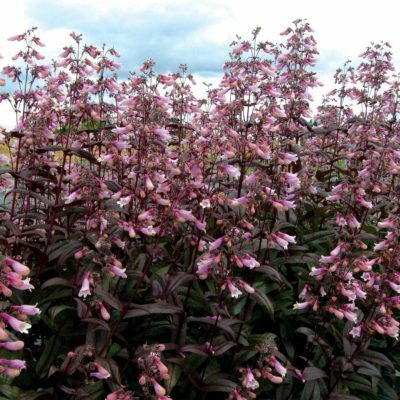 'Milan' has silver summer leaves and a great crown.